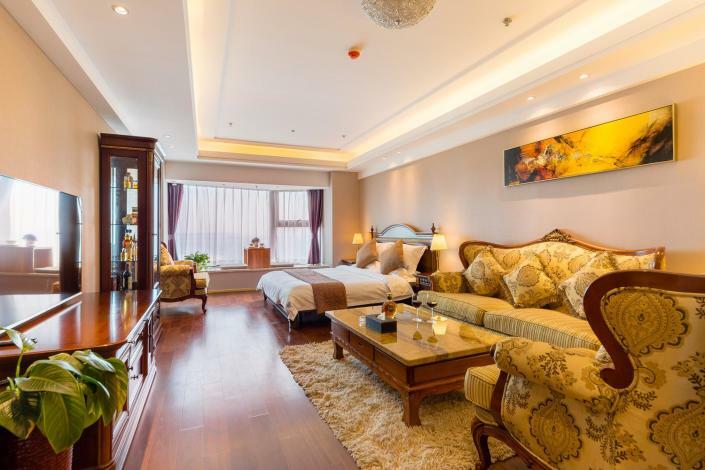 The Zhan You Zhi Jia Seaview Apartment Hotel is a great choice for guests looking for accommodation in Dalian, having been recently opened in 2017. Just a short distance from Zhongshan Square and Renmin Road Donggang Commercial Area (3km), and featuring Free in-room Wi-Fi, this hotel presents a great option. With Dalian Railway Station just 4km away and Zhoushuizi International Airport only 13km away, transportation is very convenient. Being just minutes away from Huiyizhongxin Metro Station allows guests to explore the city with ease.